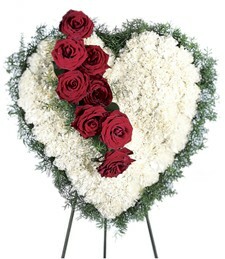 There is nothing more appreciated than A Touching Heart Casket Spray. 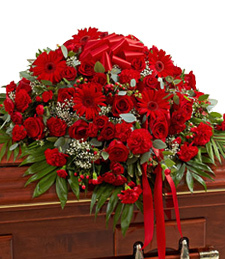 Sooth their grief into a state of spiritual healing with a plethora of scarlet red blossoms that ooze with beauty, happiness, and unconditional love. 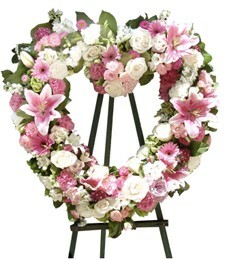 Make a poignant tribute to a celebrated life well cherished and remembered. The deepest thoughts and prayers are with that special someone in a difficult time. Bright pink blossoms brighten the day and liven up the moment for with just once glance of pure beauty all their troubles will be forgotten. Faith, hope, and love is the recipe for healing the soul! Feel the compassion in your heart with a token to reflect on a life well lived. 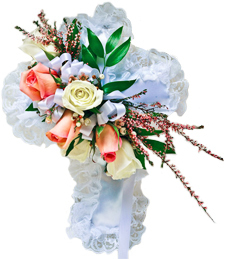 A Cross My Heart for Life casket pillow is an eternal tribute to that special someone passed on. Feel the moment for eternal love never dies. 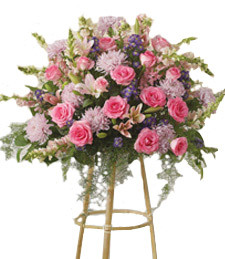 The ultimate display of empathy is through an array of pastel blooms in the shape of a heart to sooth their grief-stricken soul. 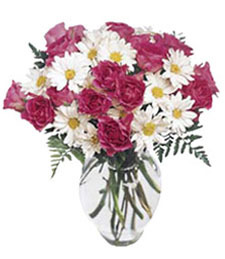 Sympathize with them through Soft Hues Standing Heart Spray. 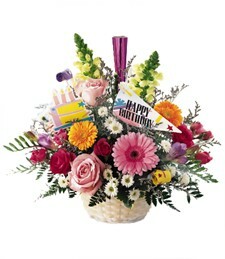 A gentle caress of support to show your truly care. 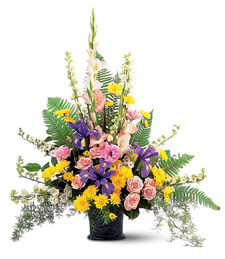 Celebrate the life and honor the memory of a dear friend or loved one who has passed on with this brilliant and bright bouquet of felicitous flowers. 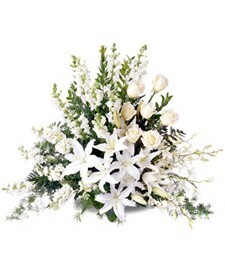 Send your heart-felt sympathy and support to their grieving family in a way they'll never forget. 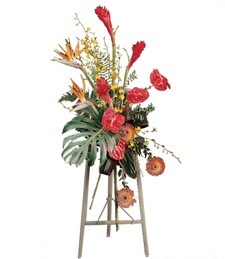 Honor the memory of a cherished friend or loved one with this exquisite standing spray of vibrant, tropical flowers. 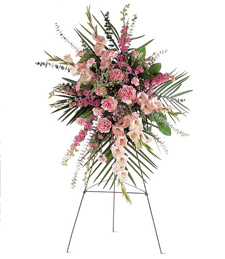 Celebrate their life and extend your deepest sympathy and support to those left behind with these brilliantly breathtaking blooms. 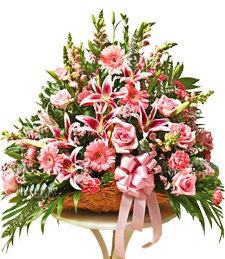 Show the depth of your sympathy with this glorious, palatial arrangement, thoughtful and heart-felt way to express your sympathy and support to a grieving friend or relative. 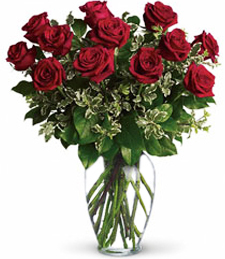 Bring them a touch of sensual bliss in their life and ignite that aromatic pleasure in the air. 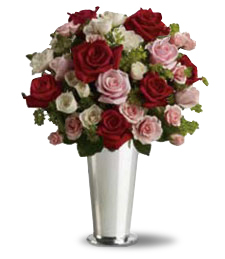 Fill the room with sweet wishes of unconditional love. Be their at their side in a time of need for spiritual healing is the greatest gift. Highlight that delicate moment with a gentle brush of Lavender Mist. 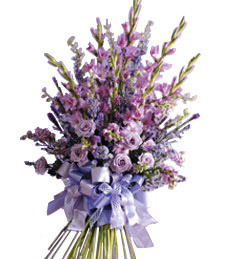 Cascading shades of lavender capture that moment with that special someone in a bouquet of precious blooms bundled together like a loving couple. 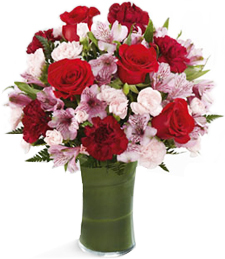 Wrap your arms around those gentle blooms and loose yourself in a sweet aroma of heavenly bliss. 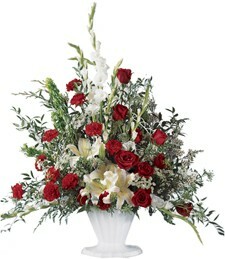 Red roses and white lilies make for a beautiful blend of color, fragrance and elegance. 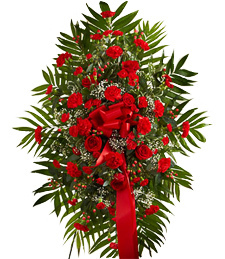 Pay your respects to a departed loved one with this heart-warming arrangement. 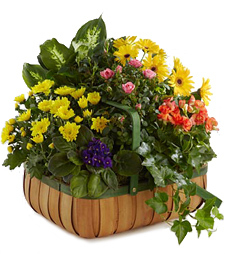 Flood their soul with soothing tranquility and overwhelming joy! 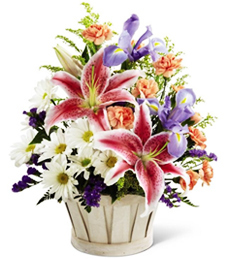 Alive with fresh fragrance and flattering color contrast, this gorgeous bouquet conveys your sincerest sentiment--send today! 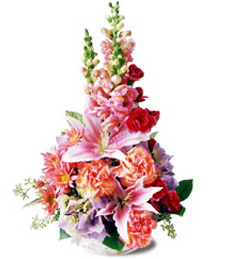 Give a dear friend or loved one a truly special farewell with this exquisite standing spray, brimming with stunning flowers. 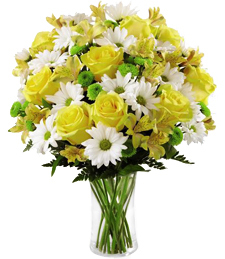 Radiating the joy and beauty of life, this piece will brighten even the darkest times and is a loving and heartwarming gesture of your deepest sympathy, support and fond remembrance.